Samsung and Apple have continued holding a solid position in smartphone sales in the second quarter of 2012, and now it seems like the Android-iOS rivalry is shifting more towards a competition between the two firms. The latest IDC report shows some interesting trends occurring in the three months from April to June. First, Samsung absolutely smashed previous smartphone sale records with the whopping 50.2 million smartphones it sold. That’s nearly twice as many as Apple’s 26 million iPhone sales in Q2 2012. And when it comes to the rest, Nokia, the third-biggest smartphone maker has continued sliding and ended up with only 10.2 million smartphones sold, dangerously close to HTC and ZTE. If this trend continues, we wouldn’t be surprised if HTC or ZTE outsell the Finns and become the third biggest samrtphone manufacturer. Speaking of ZTE, the company is now in the top five of smartphone makers. This is largely due to the cheaper devices it sells in China, but also increased presence in the United States and Latin America. In the latter two markets though, ZTE doesn’t have the carrier recognition as carriers use their own brand on top of ZTE-made phones. Overall, the phone market grew comparatively slowly. For smartphones, the growth was 42.1% year-over-year in Q2 2012, the lowest since the fourth quarter of 2009. There was a total of 153.9 million smartphones in 2Q12, up from to 108.3 million devices at the same time last year. Nothing shows the number of galaxy s family, galaxy note and galaxy nexus smartphones sold? Samsung doesn't report it. They don't even report smartphone sales so the 50 million is an analyst best guess. oh samsung this samsung that please taquito haha.. When are you going to give up on this feud between you and Android fans? Why does it matter if its analyst projection they could have very well sold more then that or a bit less either way SAMSUNG is on a roll. i dont see iphone broken down by model either, taco.. so whats your point? Even if their guess is off 20% which is pretty unheard of, they still smashed apple. Get over it. I believe the recent court mandates that both companies divulge financial records makes that statement incorrect taco. Please, try to stay on top of things if you're going to troll. I mean, it's one thing to troll, but it's another to troll with the wrong information. Thank you Roscuthii i was going to add that.. and oh how he loves to troll that poor taquito..
Ok care to provide a link then with Samsung sales by device? Care to provide a link that backs up your statement? I mean, you are the one that claimed this information is incorrect. Burden of proof is on the plaintiff you know. What I said is a fact and I can provide proof. You however can not. Fair enough, but we're talking 52 million to 26 million. Do you think the analysts could be over 26 million units off? Face it, just like last quarter, Samsung is the biggest smartphone seller in the world. Samsung obviously had a great quarter. I was answering his question of why no breakdown for which smartphones sold how much. Nokia will definitely reach the 2nd position after samsung in Q213 with WP8 sales. Really, iPhonearea? You're an idiot if you think that this site is biased towards Apple. im just wondering why idiots buyin' android?? as we al knoe that some of the fone will support android latest.. half of my friends fone's doesnt get update for ics end up wasting their penny and still cursing samsung..! 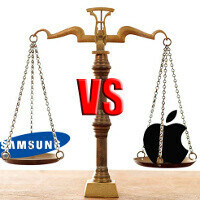 !oneday i guessed samsung gotta end up like nokia or BB..!!!!! Go take some English lessons. i have come to the conclusion that when apple updates they only update for certain things and call it brand new for instance the in-app purchase but and maps are going to be fix on and added in the iOS 6 update while apps on android can usually be update independently of the OS. apple needs to do the same thing instead of making a whole new version of ios just for a few changes here and there. the fix doesnt come until iOS6 releases, troll. U are very smart man, go buy an iphone! m an die-hard fan of android.. but m just frustated over android update..! !jus waiting for new fone of google-motorola which mite get update mostly..!! I just hate samsung or lg or another android manufacturers as they all should think of making limitation to get next android updates.. !!! Because it's so much more powerful than the competition, offers choice, and unlike three years ago, it's as smooth and fluid as any other mobile OS. No it still lags. I've tested it myself. Jellybean is attempting to address the lag issues. Isn't attempting, JB addressed the lag with triple buffering. So now you got real multitasking, real time notifications (push byebye) animated backgrounds with no lag - iOS is still stuck in year 2007, but is magic!